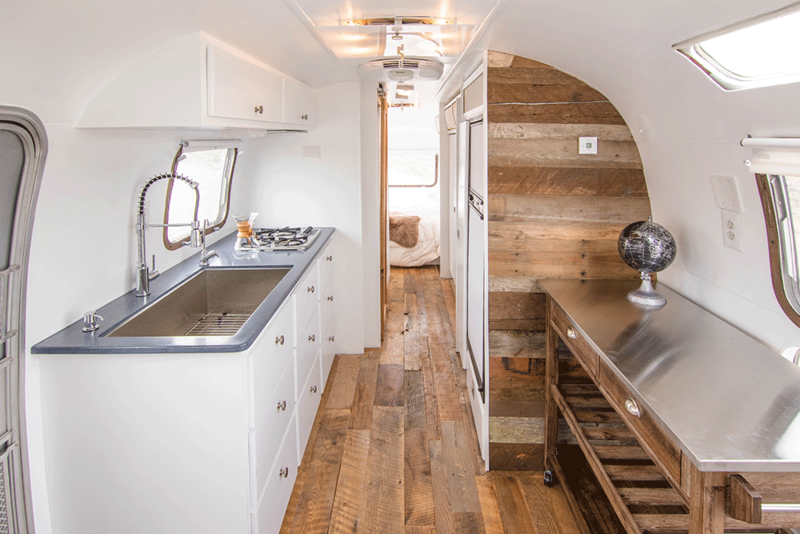 This fresh, one of a kind home on wheels is a 1977 Airstream Sovereign 31’ named Leah. 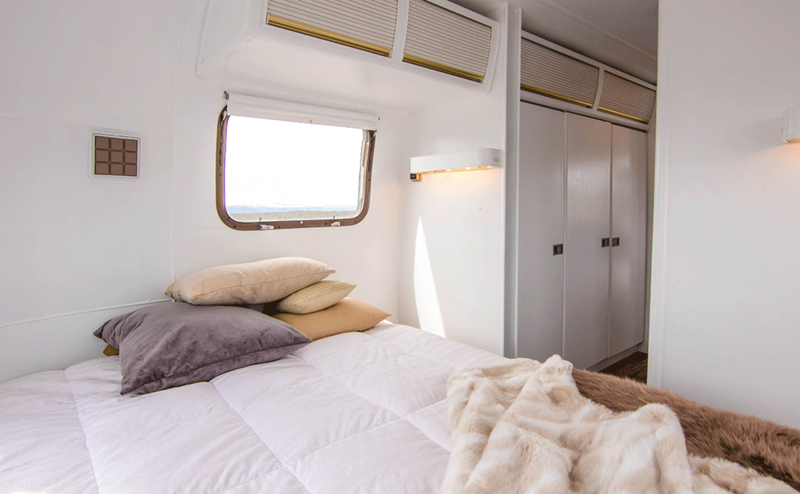 She was designed for the dream of long-term adventure and has all of the storage capacity to support sustained living on the road. 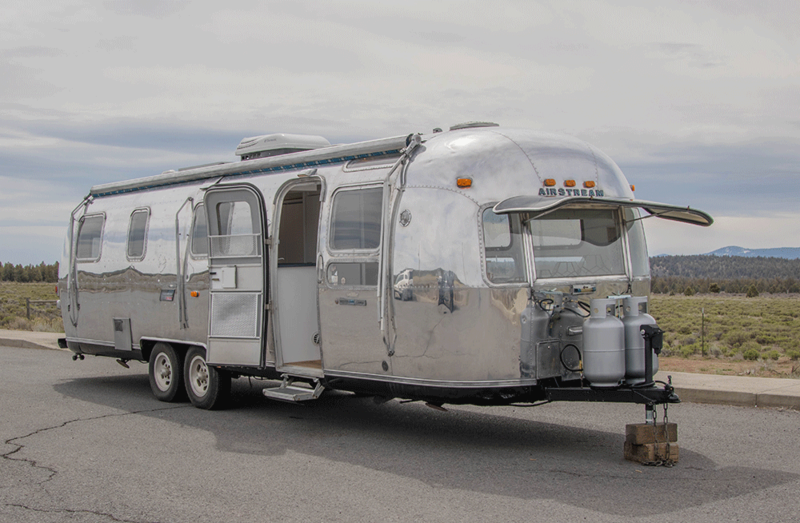 She’s perfect for a fearless family of four or a venturesome couple hoping to host friends and family along their journey. Leah is ready to hit the road without leaving any of the luxuries of home behind. 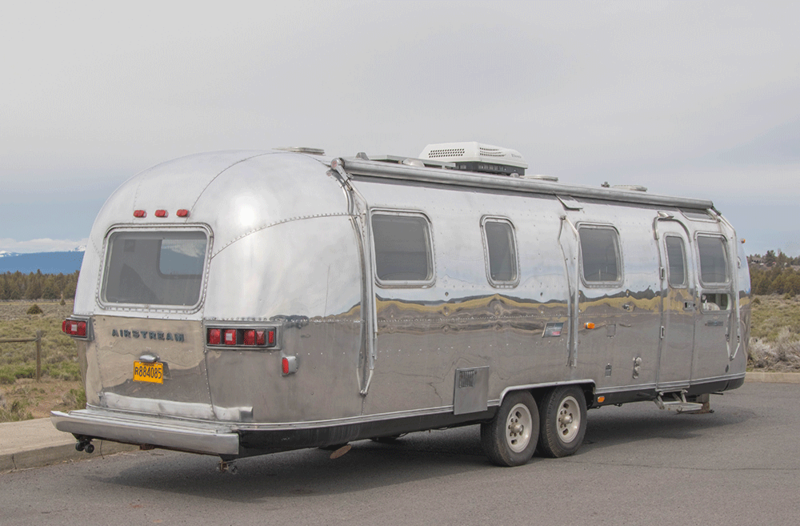 Her classic style speaks to Airstream’s unique and awe-worthy exterior and will make her the talk of whichever town she rolls in to. 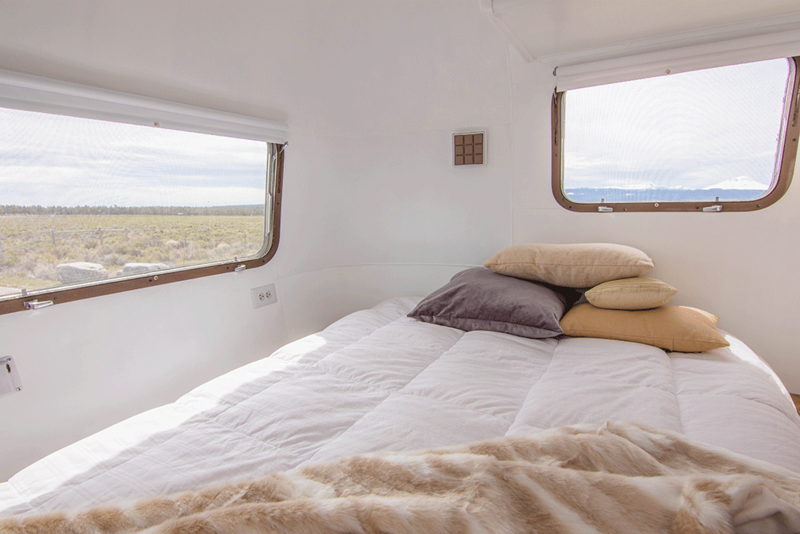 Leah is a beautiful vintage unit that is built to last for generations. Let the memory making begin! 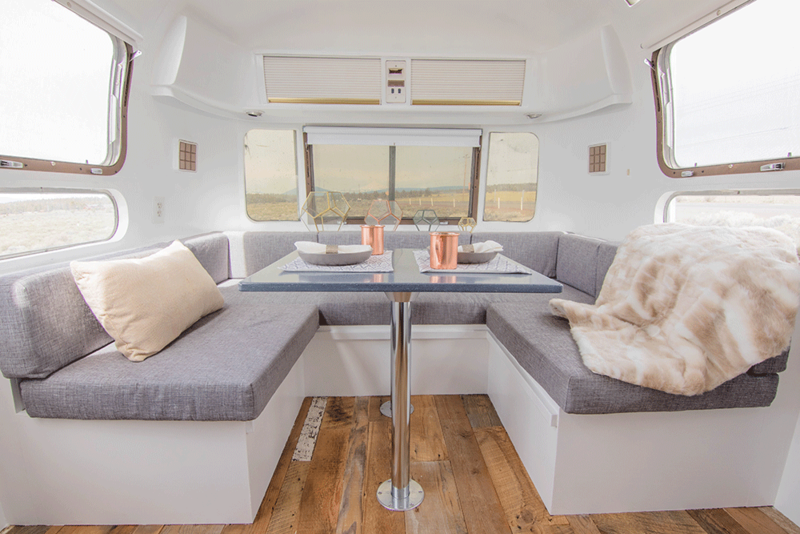 Family-friendly functionality meets luxurious mobile living. 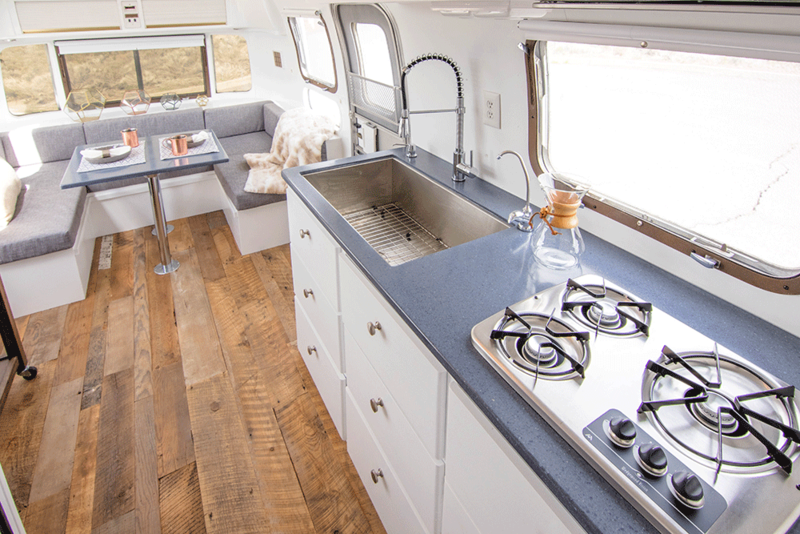 There are no more limitations to life on the road–it’s just as comfortable as living at home but has the convenience of mobility. Her purpose is simple, live a life of ease and enjoy the open road. Make her your guest house or rent her on Airbnb! Creating a comfortable, livable space was a top priority for Leah’s renovation. 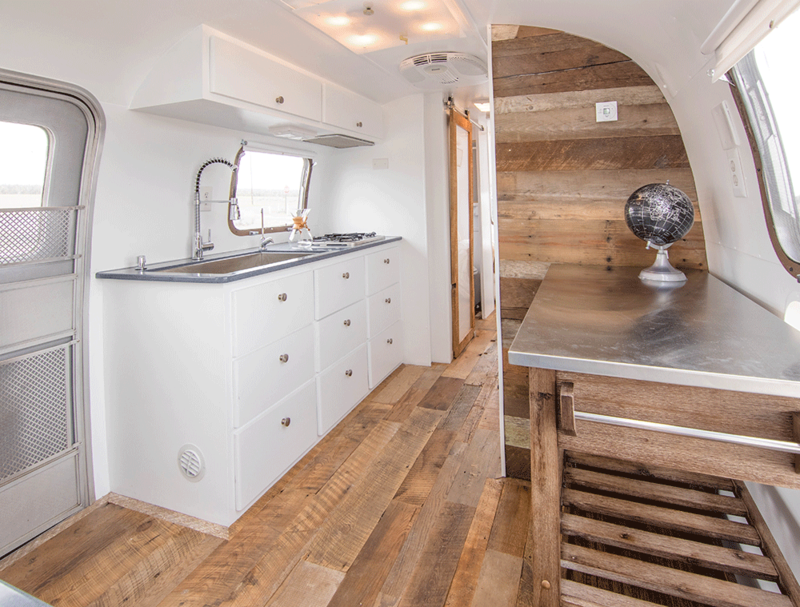 The goal in building Leah was to make the logistics of life on the road as glamorous as the vessel itself. 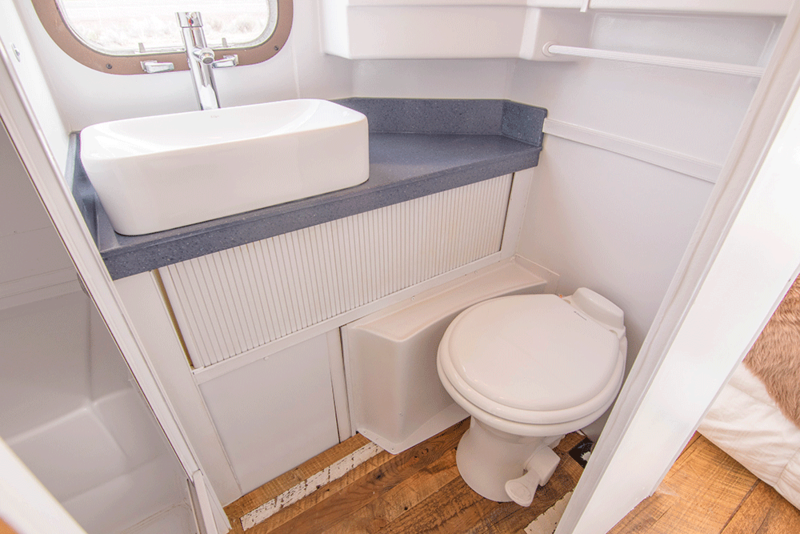 Any mobile home should feel organized and calm. When there is a specific purpose behind every space, that sense clarity and functionality will translate into everyday life. The entire interior has been gutted and rebuilt from the chassis up. All new cabinetry and counters were custom built. S The rear hosts a cozy queen bed, perfect for a beautiful couple The front U-lounge is also equipped with a custom pull out bed to make the transition between resting and exploring as easy as possible. Several fans, two state-of-the-art air conditioning units, and a beautiful exterior awning provide plenty of relief from the sun for a comfortable place to live in any climate. 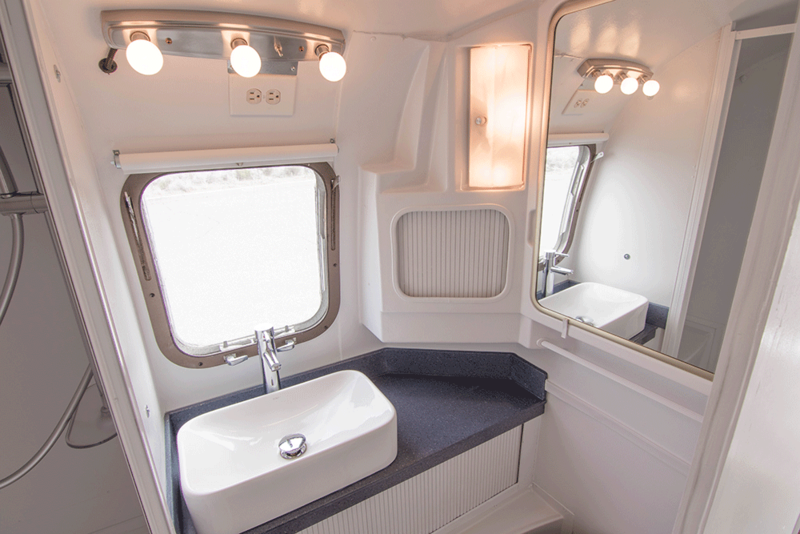 Full exterior polish to a mirror shine.